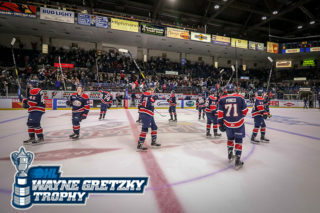 Saginaw, MI – In back-to-back games would the Saginaw Spirit need just a combined five goals scored to extend their touted winning streak. 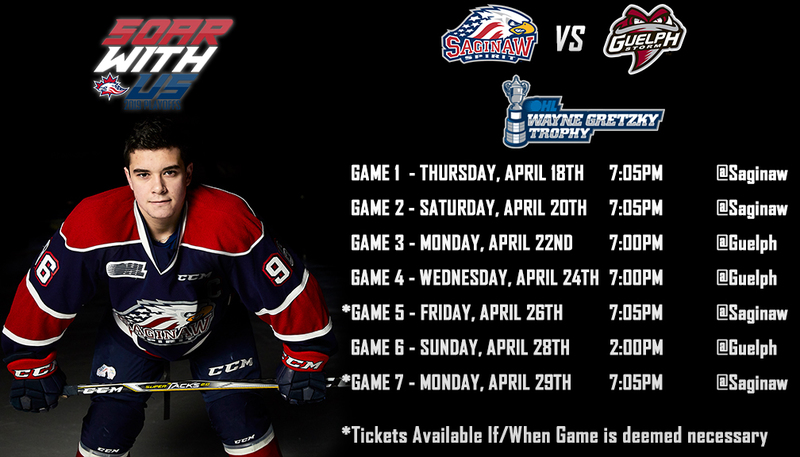 Behind another solid performance in net from Ivan Prosvetov and one goal each by Bode Wilde, Justin Murray and Jake Goldowski, Saginaw earns its seventh in a row after Wednesday’s 3-1 win over the reigning OHL J. Ross Robertson Cup champions, Hamilton Bulldogs. The Spirit remain one point off the pace of the Sault Ste. Marie Greyhounds for first place in the Western Conference Standings, having not lost in regulation or overtime since December 16. Securing 21 of a possible 22 points in the last 10 games, the Spirit also have scored the first goal in five straight games after Goldowski capitalized on a deflected puck at 7:51 in the first period. 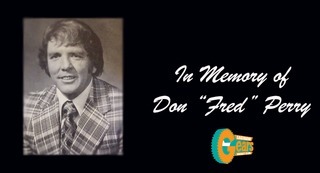 The second-year forward’s seventh goal of the season and third in four games was set by an Albert Michnac diagonal pass to Reagan O’Grady, whose slap shot hit the chest pad of goalie Nick Donofrio, who was unable to secure it. Michnac, the overage forward, is tied for third with the most assists by a Spirit player at 26. O’Grady becomes the 18th player for Saginaw to record double-digit points this season after his sixth assist of the year. With 8:36 left in the frame, an unbalanced pass in-between two Spirit defenders would end Prosvetov’s run of 80-plus minutes without a goal allowed. Taken in the fourth round (114th overall) by the Arizona Coyotes in this year’s NHL Draft, Prosvetov was named Vaughn CHL Goaltender of the Week after picking up his league-leading third shutout in last Sunday’s 2-0 win over the Sudbury Wolves. Prosvetov made five saves before fourth-year forward Josh Wainman was checked near the right post, but turned his right shoulder far enough to make the crisp pass to rookie Logan Morrison in the slot. Morrison, who was chosen by the Bulldogs in the 2018 OHL Priority Selection with the 18th pick, had a wide-opened chip shot to the top-right corner for his first goal since December 28 and 1-1 tie. 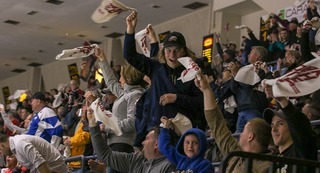 The game’s opening power play belonged to Saginaw less than three minutes into the second period. The team entered Wednesday with the league’s sixth-highest success rate on man-up situations. With a unit consisting of five player combining for 87 goals this season, Saginaw regained the lead as Wilde sent his shot right through the slot to beat Donofrio for his 11th of the season. As one-of-two Spirit players to sign entry-level contracts with an NHL franchise, Wilde earned OHL Defenseman of the Month for December as he currently ranks in the top-five for most goals (11), assists (31) and points (42) among league blueliners. Recent trade acquisitions Owen Tippett and Ryan McLeod were credited with the assist for their third and fourth point, respectively, in the three games since arriving from the Mississauga Steelheads last weekend. Much like against Sudbury where Prosvetov converted a small majority of his season-high 54 saves with acrobatics and a little luck, those forces prevailed again at 12:36 in safeguarding the 2-1 lead. Coming down on a breakaway parallel to the boards and whose poke check in the penalty kill would set up the Wilde goal, rookie forward Tim Fleischer caught the Russian-born goaltender sitting down, but had no answer to the quick swipe of the glove. Prosvetov, ranked second for most wins by an OHL backstopper this season at 21, finished with 26 saves to improve his goals against average (GAA) to 2.99 with a 0.904 save percentage (SAV%). Donofrio, who resides in Ypsilanti, Michigan, would endure his ninth loss through 21 appearances. Saginaw killed two penalties after 40 minutes and led 30-18 in shots on goal. The final 3:27 in the third saw Murray receive two minutes in the box and sealing the win on the empty netter goal. 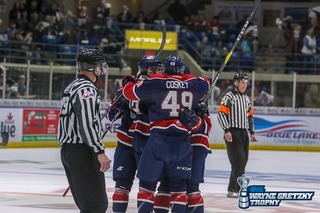 It’s the first goal for Murray as a member of the Spirit since being traded from the Barrie Colts on December 9. Putting a close to Hamilton’s four-game points streak, the Spirit improve to 15-5-1-1 at home this season and 15-2-1-1 under head coach Chris Lazary. Before the Spirit begin yet another three-game home stand, they’ll head to the Budweiser Gardens on Friday, January 11, to visit the first-place Western Conference leader London Knights at 7:30 p.m.
Live coverage is on the flagship WSGW 100.5 FM Talk & Sports and fmtalk1005.com with Joey Battaino and Dennis Desrosiers with Countdown the Faceoff beginning at 7:15 p.m.
On Saturday, January 12, Underground Railroad, Inc., Bay Area Women’s Center and Shelterhouse have partnered with the Spirit to present the first annual “Love Shouldn’t Hurt” Game. 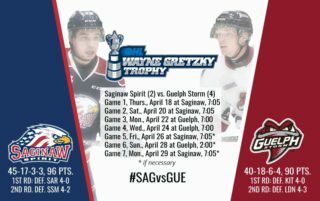 $13.00 upper level fundraising tickets are available for purchase as Saginaw hosts West Division rival Windsor Spitfires at 7:05 p.m. $5 of each ticket sold will support domestic violence victims in the Great Lakes Bay Region.